Where I got it: Spincycle Yarns sent me a few skeins to try. My Thoughts: I enjoyed knitting with this yarn. It's bouncy, soft, and spongy and has a playful feel thanks to the slight thick-and-thin variations and the bright marled colors. Of course I started with the bright yellow color - I can't get enough of grellow, so the gray/yellow marl was irresistible. What I might design with it: This is sweater yarn all the way. 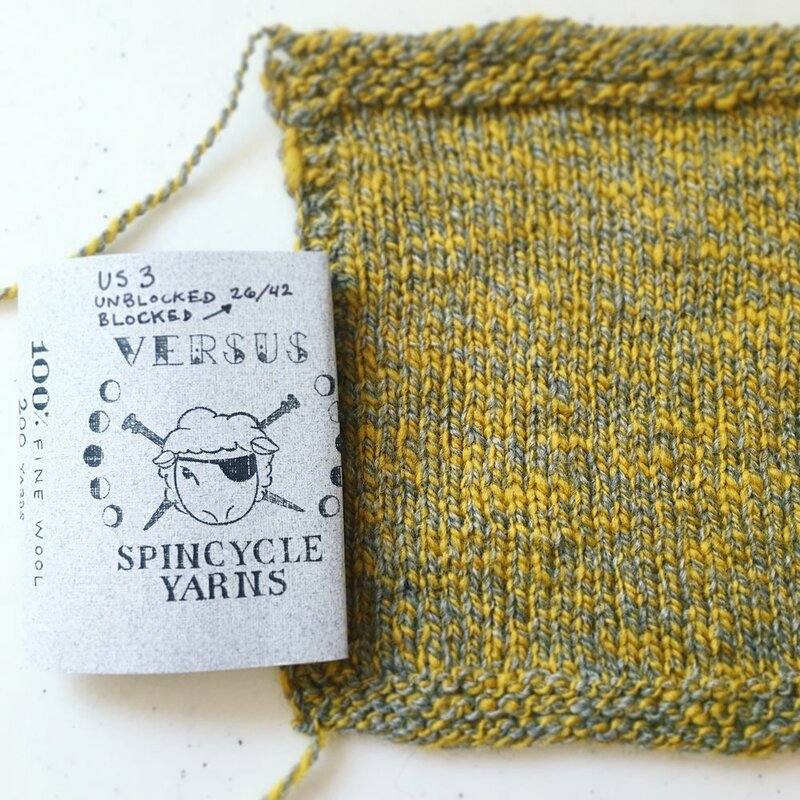 It'll shine best with simple stitches like plain Stockinette or garter stitch since any pattern is likely to be lost in the textured, marled nature of the yarn. 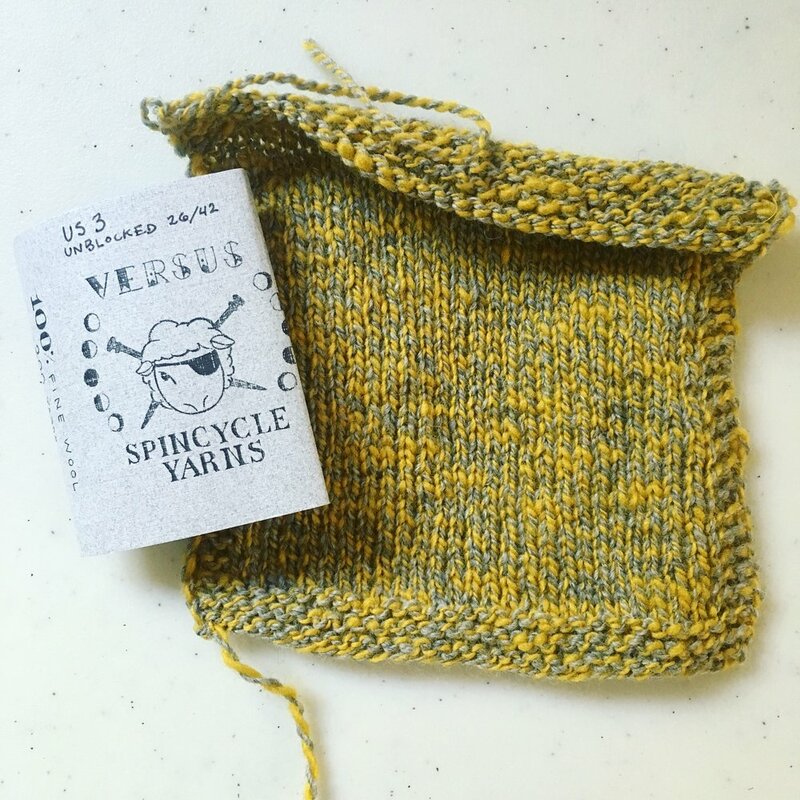 Where you can get some: Try the Spincycle Yarns website or see if your LYS carries it. Lots more shops are carrying this one these days, so check with your favourite one or ask them to get it in. P.S. Spincycle has big news! They're recently acquired their own mill and will not only be dying the fibre, but also milling the yarn right in Bellingham! Follow them on Instagram to see this exciting process happening!